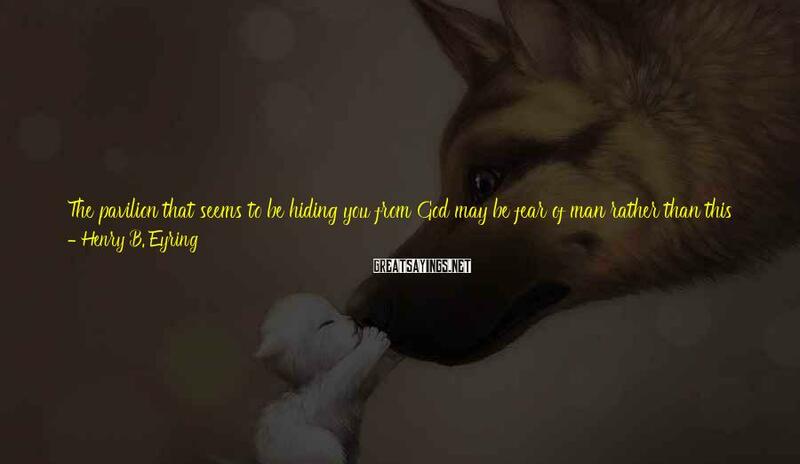 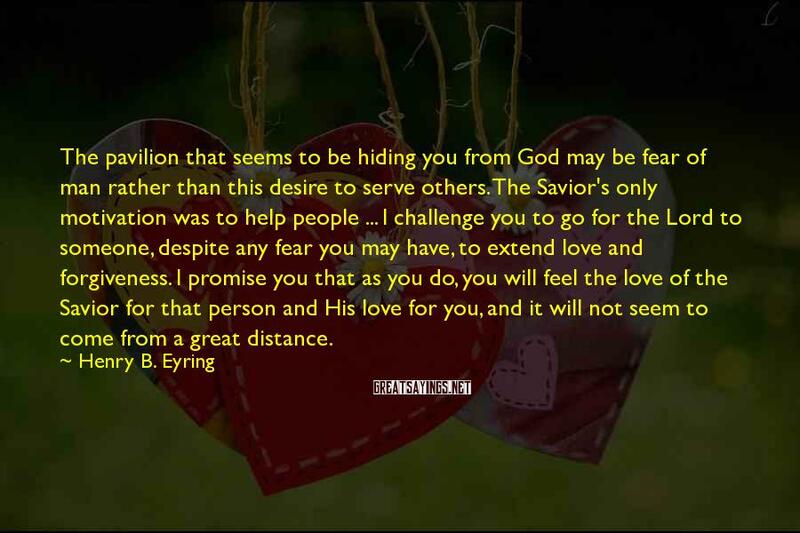 The Pavilion That Seems To Be Hiding You From God May Be Fear Of Man Rather Than This Desire To Serve Others. 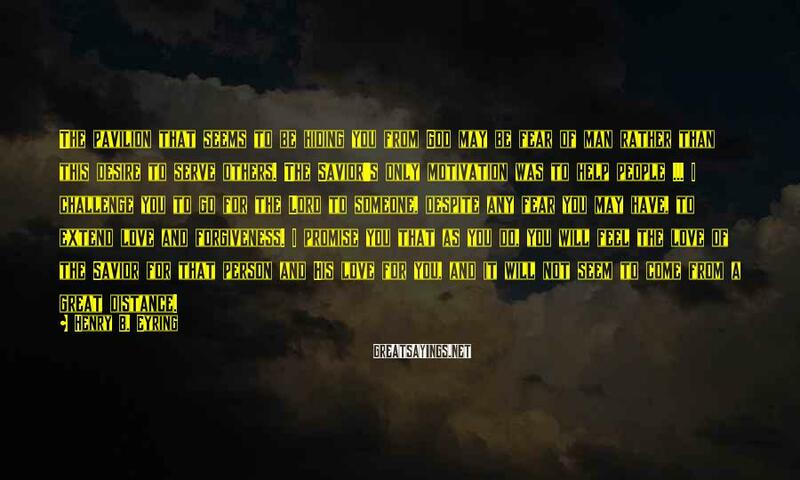 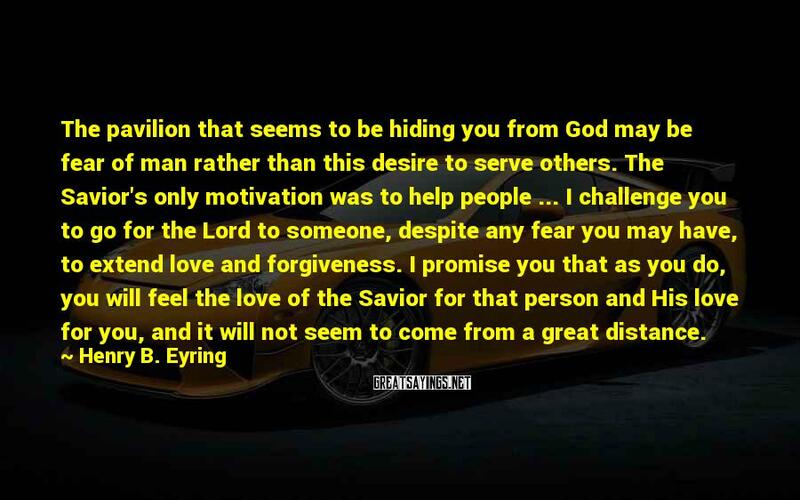 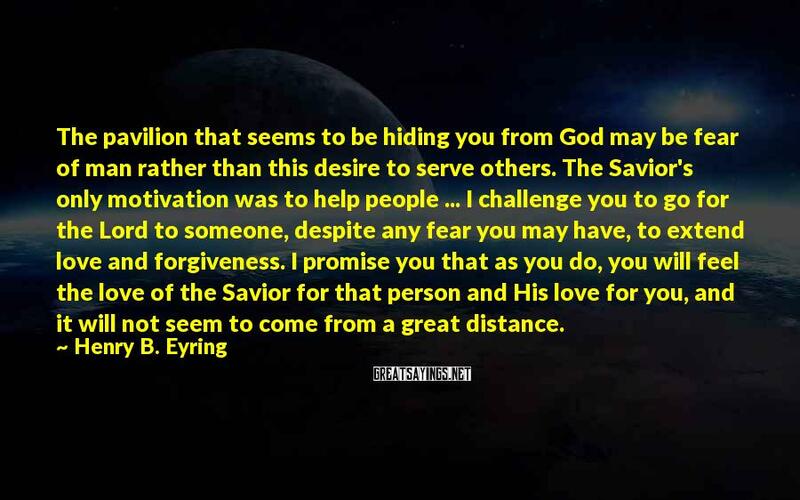 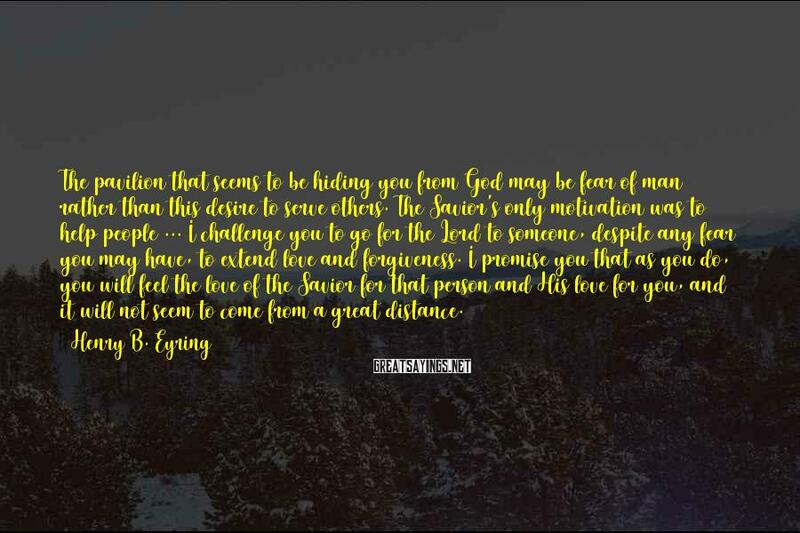 The Savior's Only Motivation Was To Help People ... 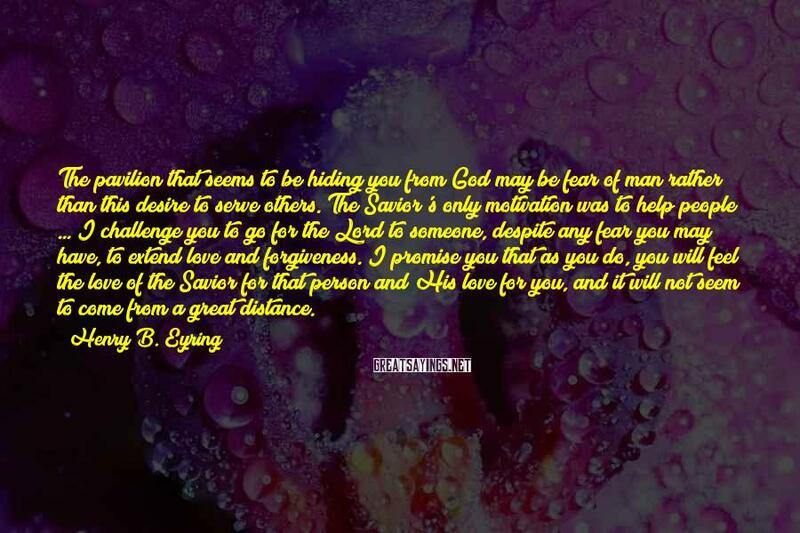 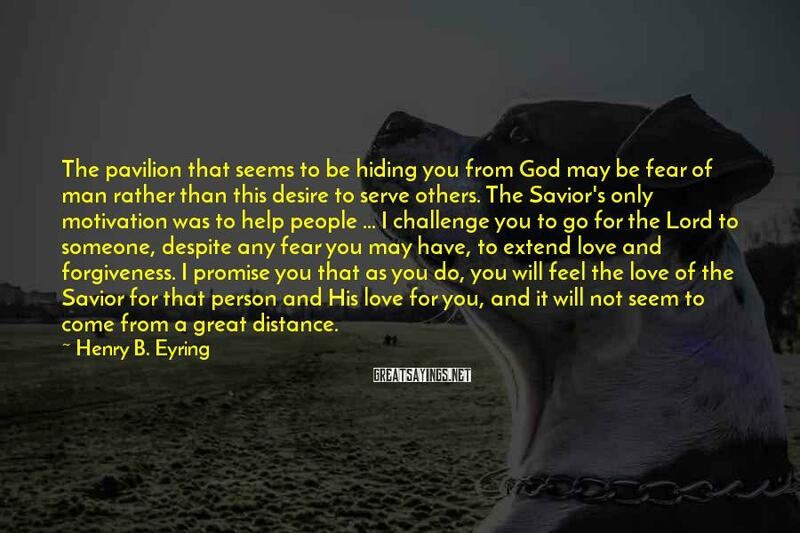 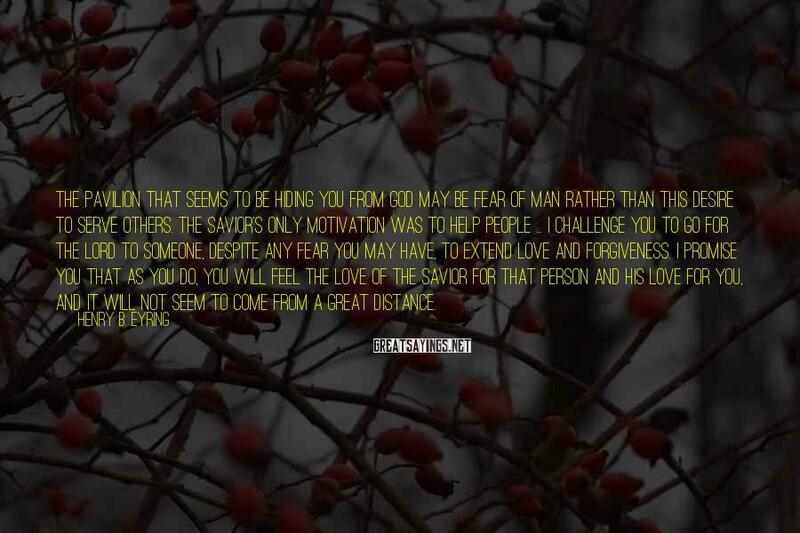 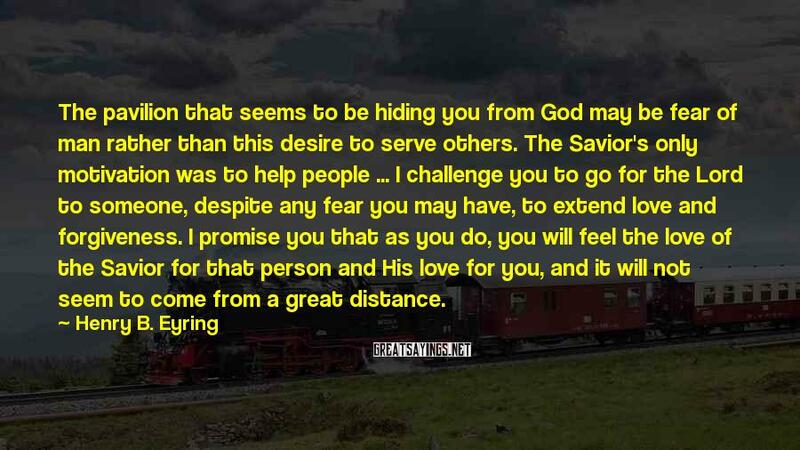 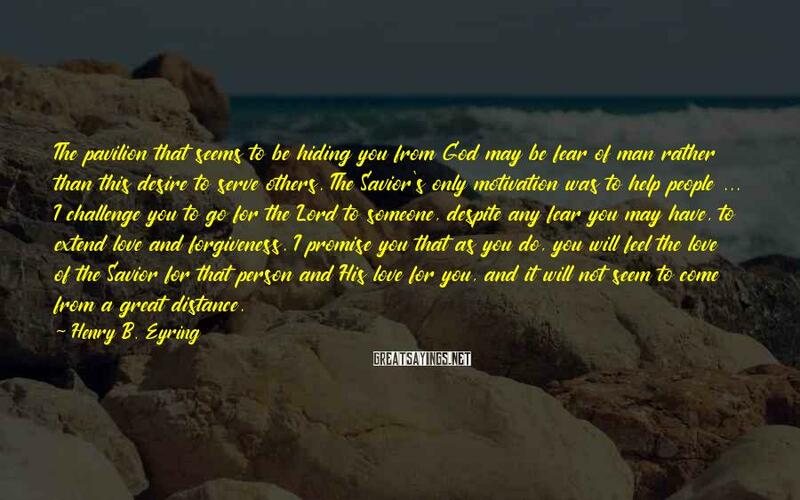 I Challenge You To Go For The Lord To Someone, Despite Any Fear You May Have, To Extend Love And Forgiveness. 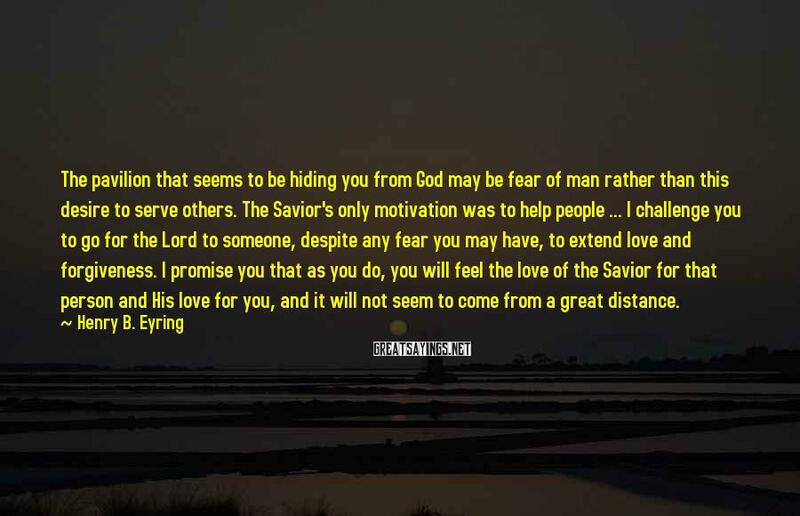 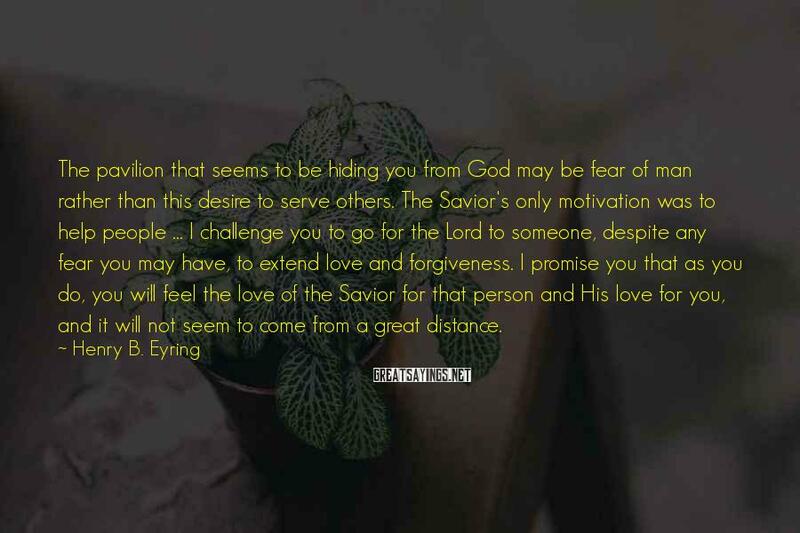 I Promise You That As You Do, You Will Feel The Love Of The Savior For That Person And His Love For You, And It Will Not Seem To Come From A Great Distance.